The large self-watering 16" planter is hand-spun from a single sheet of copper. 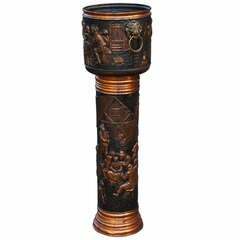 At 16" in diameter and 14" in height, the planter holds a range of large plants and small trees. The planter can be used as a cachepot (holding already potted plants) or as we recommend, fully potted with soil placed directly inside to take advantage of its self-watering feature. The planter contains a 1.25" reservoir at the base divided from the main body by a perforated aluminium disc. The reservoir keeps standing water separate from the soil, preventing root rot, but evaporates back into the soil once it begins to dry out. This leads to healthier plants and easier care. Indoors/outdoors suitable, but recommended for use in covered areas in case of heavy rains. 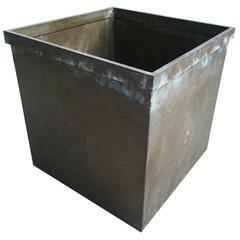 Materials Copper planter Perforated aluminum reservoir Dimensions 16" D x 14" H.
YIELD is an independent design house: part industrial design studio, design label and manufacturer. YIELD designs and manufactures a range of furniture, housewares, bags, and jewelry with an aim to pair American craft and ingenuity with an eye toward the future. YIELD’s products are sold in retailers throughout the U.S. and abroad and have been featured in numerous publications such as the New York Times, Dwell, Sunset, SF Chronicle and more. 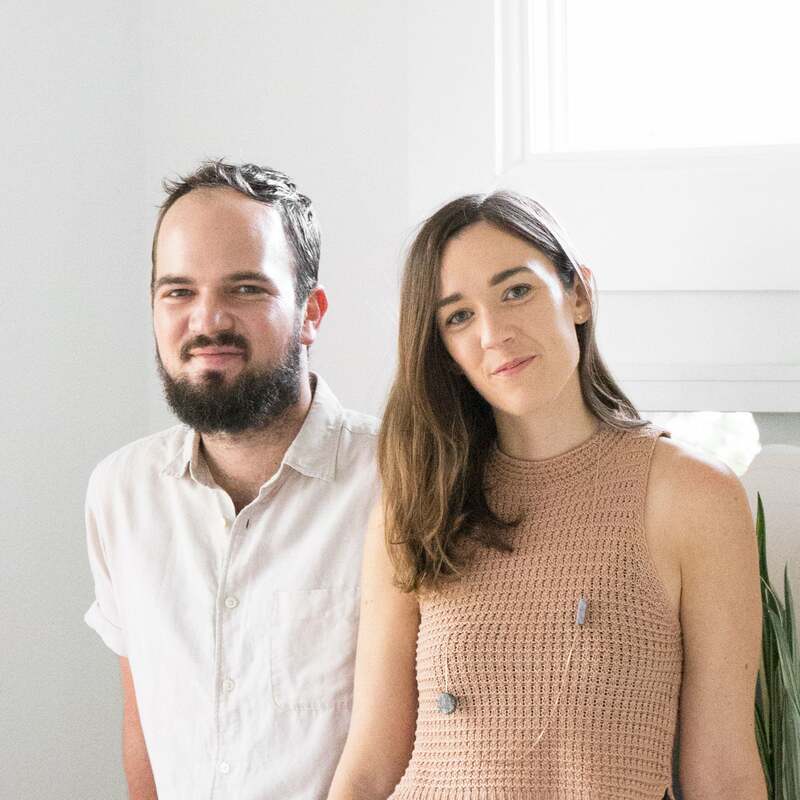 YIELD was established in late 2012 by Andrew Deming and Rachel Gant in San Francisco where the two met at the California College of the Arts (CCA). Yield is now based in the historic coastal town of Saint Augustine, FL, the oldest European settlement in the U.S.
Copper “copper” planter with riveted seams and peened over rim. Also great for storing kindling wood at the fireplace. Originally these coppers were used for boiling water. Simple modernist copper modernist planter. Beautiful patina. 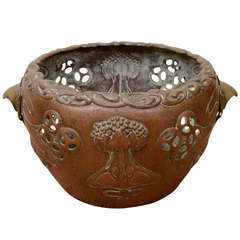 A Swedish midcentury planter, made of a hexagonal copper bowl on a wooden frame.